Austin has joined I-Tech following her departure from marine publishing and events company Fathom Maritime Intelligence, where she held the position of Executive Director. She is a technical journalist and has held the position of editor-in-chief for Ship Efficiency Review in addition to writing for various other marine trade media publications. Prior to this, Catherine held a senior role in the Carbon War Room’s Shipping Operation and worked for specialist marine PR firm Blue Communications. 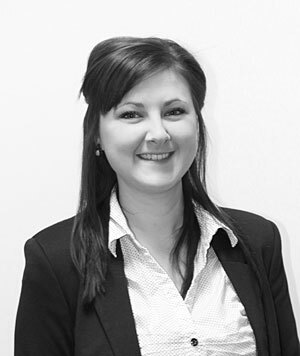 “I am very pleased that Catherine has joined I-Tech in the position of Director Marketing and Communications. Catherine’s experience in technical writing, research and communications coupled with her passion for Selektope® make her the perfect addition to our growing team,” says Philip Chaabane, CEO, I-Tech AB. Selektope® is an active biocide that repels barnacle settlement on ships’ hulls by temporarily stimulating the barnacle larvae’s swimming behaviour. It is distinguished by extremely low biocidal loading and has been approved by Japanese, Korean, Chinese and European regulatory bodies for professional and non-professional use.